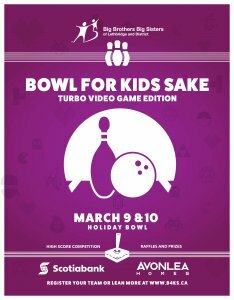 Join us for Bowl for Kids Sake 2018! Includes: 2 hours of bowling, pizza, pop and PRIZES! Times slots are limited register now to ensure you get the time your team wants!